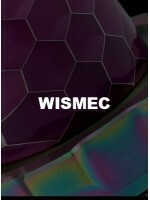 Wismec WS-M 0.27 Ohm 5pk CoilsReplacement Mesh Coils for the SINUOUS V80 and V200 Kits from Wismec, ..
Wismec Reuleaux TINKER 3pk CoilsReplacement coils from Wismec for the Reuleaux TINKER Kit. The WL01 ..
Wismec LUXOTIC DF Box KitThe newest member of the Luxotic Series, introducing the new LUXOTIC DF Box..
Wismec LUXOTIC MF Box KitJust as the saying goes, all roads lead to Rome. Being multi-functional and..
Wismec ACTIVE Kit with Amor NS Plus TankWhen a mod comes with wireless capability, what happens? The..
Wismec MOTIV 2 Cartridge (Single)MOTIV 2, a new all-in-one pod style setup by Wismec, features&..
Wismec MOTIV 2 All-In-One Pod SystemMOTIV 2, a new all-in-one pod style setup by Wismec, boasts its ..
Wismec Sinuous RAVAGE230 KIT with Gnome KING TankWismec SINUOUS RAVAGE230 impresses us with its 1.45..
Wismec LUXOTIC NC KitLUXOTIC NC, a new member of LUXOTIC series, is another masterpiece designed by ..
Wismec Reuleaux RX GEN3 Dual with GNOME King KitWismec Reuleaux RX GEN3 Dual with GNOME King kit fea..
Wismec LUXOTIC BF Box KitLUXOTIC BF BOX, a brand-new box mod designed by JayBo, features its re-imag..
Wismec Reuleaux RX2 21700 KIT ***BATTERIES INCLUDED******BATTERIES INCLUDED***Reuleaux RX2 21700, th..
Wismec Reuleaux RX2 21700 MOD ***BATTERIES INCLUDED***Reuleaux RX2 21700, the newest member of Reule..
Wismec Sinuous RAVAGE230 KIT with Gnome Evo TankDiffering from the conventional e-cigs, SINUOUS RAVA..
Wismec Sinuous WS01 Triple 0.2 Ohm 5pk CoilsReplacement coil heads for the Wismec Sinuous SW Kit.1 x..
Wismec Reuleaux RX2 20700 MOD (Batteries NOT Included)Reuleaux RX2 20700, the updated version of Reu..
Wismec Reuleaux RX2 20700 KIT (Batteries NOT Included)Reuleaux RX2 20700, the updated version of Reu..
Wismec Reuleaux RX Machina MODInspired by the ExMachina Design aesthetic, the first RX Machina Mod w..
Wismec Sinuous SW Kit Sinuous SW, a first generation kit aggressively designed for the entry le..
Wismec WM RBA Kit for GNOME TankHere comes WM RBA kit for the GNOME Tank. It includes one WM RBA Hea..
Wismec WM RBA 5pk for GNOME TankWM RBA Head is designed ideally for the GNOME atomizer and supports ..
Wismec WM Gnome 5pk Coils WM head brings you the most wonderful and most innovative flavor expe..
Wismec WT Replacement 5pk CoilsWismec WT Replacement Coil Head is designed for KAGE atomizer and EXO..
Wismec NS Triple 0.25 Ohm 5 Pack CoilsThe first of its kind! Wismec has designed a non-threaded repl..
Wismec Predator 228W MODThe Predator 228, designed by sinuous designs in USA, is powered by dual rep..